Self Directed Healing helps clients to improve mindset, process emotional challenges effectively and solidify self worth. Inspirited Solutions has discovered over years of experience, that if you change blocks, patterns and limiting beliefs on the mental, emotional and physical levels the belief is changed completely. SDH creates rapid and pin pointed emotional release for deep healing. 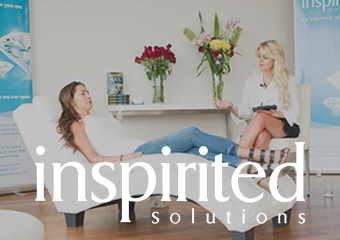 Inspirited’s SDH process is powerful, it enables you to rewire the neural pathways and clear all blocked emotion in the body so that the debilitating locks, blocks and triggers that your clients have lived with all their lives are replaced with beliefs and feelings that enable them to live un-limited. The SDH training program is a 10 step course that teaches you how to become an SDH practitioner. Start you SDH practitioner journey here! Self Directed Healing Practitioner Training 3 Day live Masterclass - Course runs 4 times a year. Contact us for dates. The course is delivered to you over 3 days and is run 4 times a year. See below for the latest training dates and an outline of the 10 Module that will be covered in the training. Each client session requires emotional and psychological before and after measuring and testing in order to accurately determine the client's emotional state and what elements/issues require the most attention. The ability to prioritise these effectively and reflect the rational back to the clients is also critical. Learn how to use the powerful tools for self reflection created by Inspirited to help clients identify their own state of emotional consciousness. Learn how to accurately and quickly diagnose the core limiting beliefs that your client is holding both consciously and unconsciously so that you can help them create a powerful and profound shift. Learn how to deliver SDH Inner child emotional release techniques that have been designed for fast and deep childhood emotional healing. Learn the SDH release technique that enables the client to quickly release repressed emotion that has been in the subconscious and the physical body for years, enabling both physical and emotional healing. 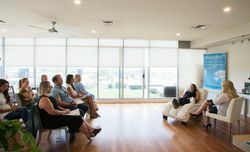 This training enables you to sit in clients energy empathically so you can feel what they are feeling and identify where the blocked energy in their body is stored. Learn how to release clients with a history of trauma from emotional pain and belief systems created as a result of the trauma. Is SDH training for you? Are you a naturally empathetic and compassionate person? Do you feel deep love for all people, and have a desire to help make this world a healed and happy place. Do you have a passion for helping other people emotionally or mentally? Or, have you been through the SDH process and now you are ready to help others? Or, are you a healer or an alternative therapist that wants to go to the next level? Obliterate the beliefs that have held them back all their lives? Learn how to help others realise their potential, let go of limitations and HEAL THEMSELVES. SDH is the latest and most effective way to help clients step into the best version of themselves FAST. There is NO hands on healing or muscle testing required. SDH shifts the negative belief systems and uncomfortable emotions on ALL levels, mental emotional and physical. Your clients will actually LEARN to FEEL their emotions and understand how to identify where they came from and why. Your clients will gain a deep self awareness and sense of purpose. SDH is the ONLY healing process that empowers your clients to Heal Themselves. After you have helped them through the deepest blocks they get to leave with the skills and tools to keep healing. SDH is taking healing to the mainstream, its logical, easy to practice and the results are revolutionary.